The aims of cardiovascular screening are to identify cardiac or vascular disease and detect cardiovascular risk factors in asymptomatic or “well” patients. Screening starts with a thorough history and physical examination, and simple laboratory investigations. Other tests may also be performed when necessary according to the patient’s risk profile. The tests that we choose should be cost effective, reproducible and accurate, and that the diseases being screened should be serious with early detection leading to a better outcome. However as no test is 100% sensitive nor specific, false positive results may paradoxically increase costs due to the need for further tests and create unnecessary anxiety, whereas false negative results may confer a false sense of security to the patient. Thus screening should be evidence based and should result in a change in lifestyle leading to improved outcomes. The screening usually starts with a detailed history and physical examination. They are part of the initial consultation, and do not involve additional cost or risk to the patient. A cardiovascular risk profile (eg 10-year risk of cardiovascular event – high, moderate, low risk) can be estimated using the Framingham risk score calculator (cvdrisk.nhlbi.nih.gov) or the HeartScore risk calculator (escol.escardio.org/Heartscore/calc.aspx?model=europelow). These have been shown to predict likelihood of future events and can serve as an impetus for behavioural change. Subsequent tests such as the electrocardiogram (ECG) and chest x-ray (CXR) can help further stratify the risk profile of the patient. Apart from the ECG and CXR, the fasting glucose and fasting lipid profile are amongst the most useful screening tests. 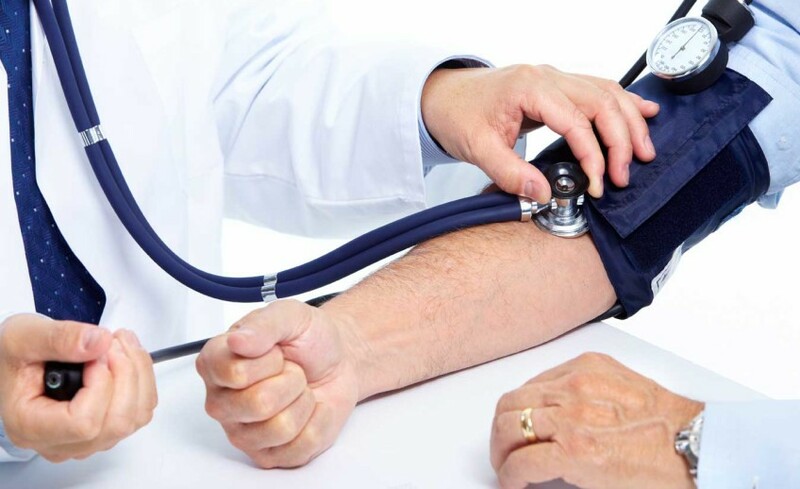 These tests, together with the office blood pressure, will detect the 3 common risk factors for cardiovascular disease as a significant proportion of the population may have silent diabetes mellitus, hypertension or dyslipidemia. Early detection and treatment (lifestyle or drugs) are likely to have an impact on future event rates as demonstrated in the primary prevention trials (eg. West of Scotland Coronary Prevention Study (WOSCOPS), Anglo-Scandinavian Cardiac Outcomes Trial (ASCOT) and STOP-NIDDM trial). WOSCOPs showed that primary prevention with pravastatin reduced myocardial infarction (MI) and death from cardiovascular causes in men with hypercholesterolemia compared to placebo. ASCOT showed that treatment of hypertension with amlodipine and perindopril significantly reduced all-cause and cardiovascular mortality and strokes. STOP-NIDDM demonstrated that arcarbose could reduce progression of impaired glucose tolerance to overt Type 2 diabetes as compared with placebo. More recently, a lifestyle-intervention program or metformin have been shown in a major study performed by the Diabetes Prevention Program Research Group to reduce the progression of glucose intolerance to overt diabetes. The NCEP guidelines which are endorsed by the American Heart Association, recommends a fasting lipid profile in all adults aged 20 years or older, and if optimal, every 5 years subsequently. If the results are sub-optimal, the fasting lipid profile should be repeated at earlier intervals. At the same time, the fasting glucose level can also be performed. The Ministry of Health, Singapore strongly recommends a fasting lipid profile at age 40 years (or younger in those with comorbidities or family history). Silent peripheral vascular disease has been shown to confer a poorer long term outcome as these patients usually have multiple risk factors and/or heart disease. Asking for a history of claudication and palpation of the foot pulses are simple and effective methods of screening for peripheral artery disease. The treadmill ECG stress test (TMX) is a test that can be easily performed and is most useful for patients in the moderate risk category with atypical chest pain or patients who have a high cardiovascular risk profile. With a sensitivity and specificity of 70% at best, the TMX is not useful in low risk patients as it does not alter the low pre-test probability of heart disease. However, most patients presenting for cardiovascular health screening would want a TMX performed. The main utility is that it has been shown that patients with a normal result and good exercise capacity (Bruce protocol stage 3 or more) have a good long term prognosis and a low yearly cardiovascular event rate. More recently, the CT heart scan derived coronary calcium score has been shown to be a predictor of future cardiovascular events since the calcium score is a reflection of the coronary plaque burden. The calcium score has become recommended by certain scientific societies for use in cardiovascular screening, and when combined with the TMX, gives added prognostic value. In contradistinction, the CT coronary angiography is not recommended for use in screening as it entails a higher radiation dose, a need for intravenous contrast administration and the possibility of false negative and false positive results due to the limitations in the technology. In patients whom silent peripheral vascular (artery) disease is suspected, an ultrasound Doppler of the lower extremity arterial system is a test that is safe and easy to perform and is fairly accurate. This group of patients often present for screening. One knows too well of the rare incidences when a seemingly fit and healthy athlete suddenly collapses and dies. Though it is a rare occurrence, it is shocking and devastating. Common causes of sudden death in young athletes would include cardiomyopathies (in particular, hypertrophic cardiomyopathy), long QT syndromes and other arrhythmic/ conduction disorders, congenital anomalous course of the coronary arteries and silent ischaemic heart disease. In general, competitive and endurance athletes should have at least an ECG performed before embarking on such activities. In selected patients, a TMX and echocardiogram may also be considered. Regular cardiovascular screening may identify risk factors and preventive measures such as adopting healthy lifestyle habits can be carried out to minimise subsequent disease. With early detection and proper medical treatment, cardiovascular disease can be treated or even prevented.